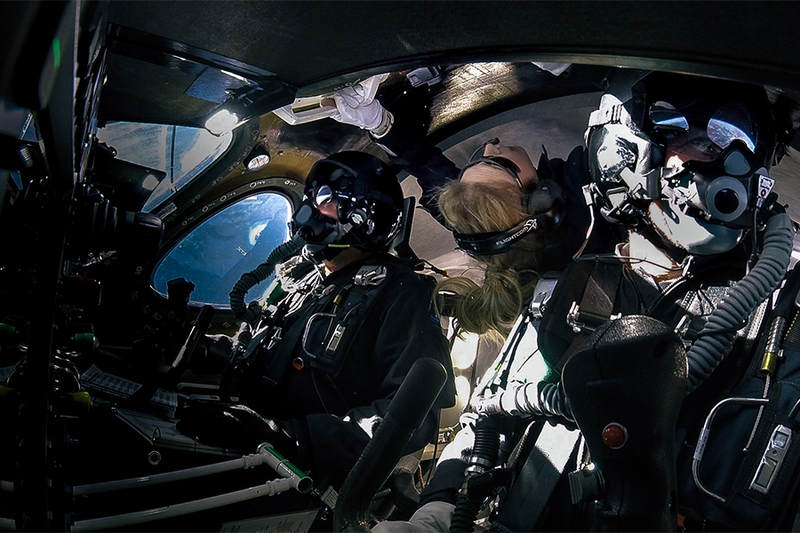 Beth Moses (BSAAE '92, MSAAE '94, OAE '18), Virgin Galactic's chief astronaut instructor, was one of three crew members on board a supersonic flight test of spacecraft Unity. AAE alumna Beth Moses (BSAAE ’92, MSAAE ’94, OAE ’18) has qualified for commercial astronaut wings. Moses was one of three crew members in the cabin on Virgin Galactic’s spaceplane, the VSS Unity, and flew as the company’s first test passenger. Moses, the chief astronaut instructor at Virgin Galactic, flew along with two pilots. "It was so clear. That was the most amazing thing," Moses said in an interview with Virgin Galactic posted on its website. "It was crystal, crystal clear. Super, super, super high-def. Interestingly, you could sort of see ice crystals right out the window and then the beautiful curvature of the Earth. It was so black in space and so clear and bright, especially with snow on the mountains. You could see the Pacific Ocean. See the Southwestern United States. I felt like I was infinitely high. It was just beautiful." Moses will provide “human validation for the data we collect, including aspects of the customer cabin and spaceflight environment from the perspective of people in the back,” according to a press release from Virgin Galactic. 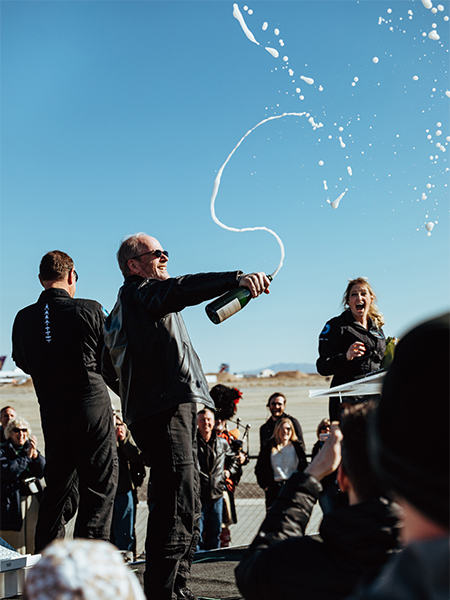 "The idea behind today was to get some firsthand experience to inform the evolution of the cabin and the training of customers," Moses said in the Virgin Galactic interview. "So I’ll be able to take the highlights from today and optimize the cabin and then really highlight the real standouts from the experience during training." Moses has completed over 400 zero g parabolic flights in four aircrafts and is considered an “expert micro-gravity research,” the release said. Moses is the 571st human to travel into space and the first woman to fly to space onboard a commercial vehicle. In previous test flights, there were only two pilots and no passenger. The supersonic test flight reached three times the speed of sound on its way up. It reached 89.9 kilometers, the company said. The U.S. officially considers people who have trained as command, pilots or crew members who have flown above 80 kilometers to be astronauts. "Human spaceflight is really, really, really important," Moses said in the Virgin Galactic interview. "It can help us be a cohesive planet in many ways. Helping open that door for the future is important to me. I think it’s crucial for all companies that are trying to do that. So being in a position to be able to encourage, invent, and accelerate, that is a real honor for me because I think it’s important. I’m very proud to be here."